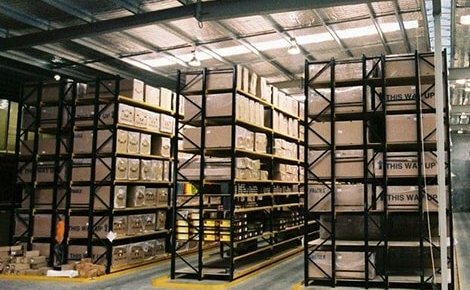 MACRACK provides custom pallet racking, and warehouse storage solutions to businesses Australia wide. Some of the brands that we service include Mitre 10, Curtain Wonderland, Yamaha, Harvey Norman, Crimsafe and Arnott’s. Our loyal customer base is a testimony to a history of reliable, on time service with a dedication to produce a high standard Australian product. At MACRACK we only use the best quality materials in the manufacturing of our products. 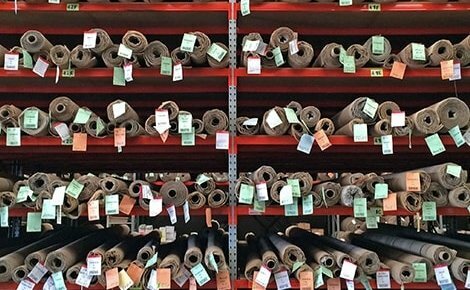 This ensures the strength and longevity of each pallet racking systems we produce. Our racking systems are built from high-quality materials. Each frame is built with pre-galvanised steel for frames that will never rust! Our products are independently tested and certified. 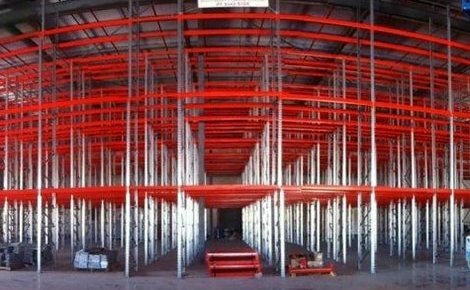 We can guarantee that each pallet racking system we build will meet or exceed all current Australian standards. 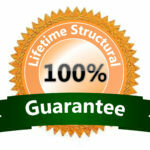 We are so sure of the quality of every racking system we produce, that we provide a lifetime guarantee. 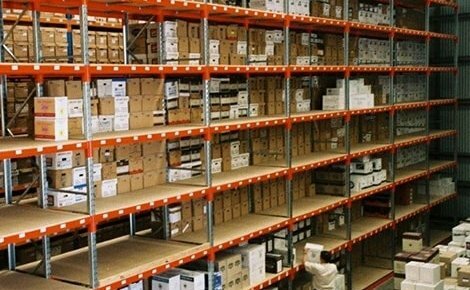 With the MACRACK guarantee you will never have to buy or replace your pallet racking system again! 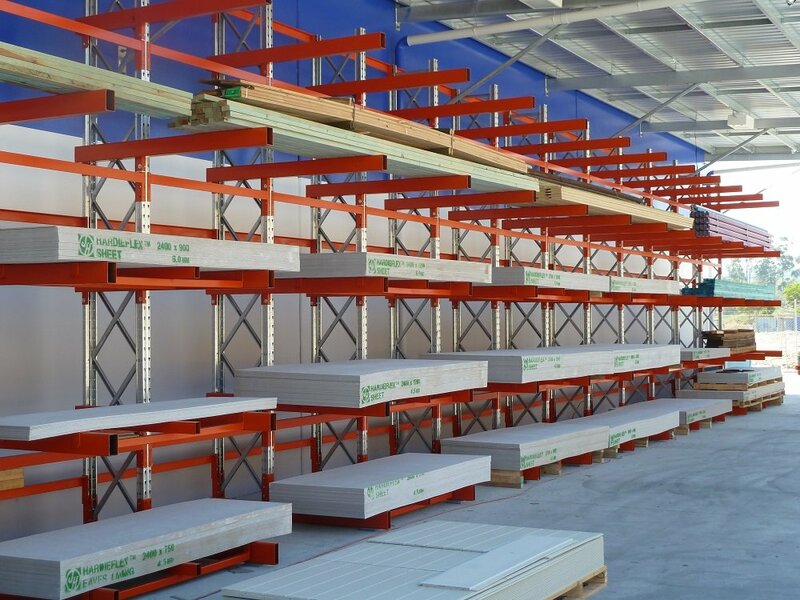 MACRACK build quality Australian made pallet racking without the use of imported materials. Unlike most other racking companies, we also provide custom built racking services. This service includes many optional changes available for a customised pallet racking system that compliments your business. Each system we build has frames made from cold-rolled, pre-galvanised steel with keyhole punching. This allows for ease of installation and adjustment to your new system. 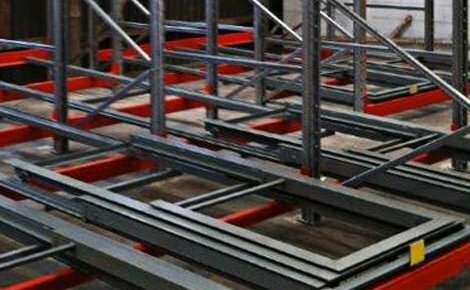 Our pallet racking systems include beams which are adjustable from weight load to width. Each beam is electrostatically coated in two layers of hi vis orange – or another colour to suit your company at a small fee. 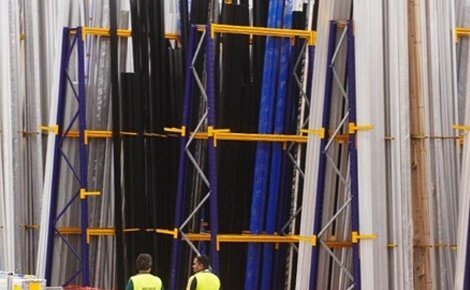 You can rest assured that MACRACK is one of the best racking manufacturer, supplier and installer in Australia. Need help with a custom solution to suit your business? Contact MACRACK on 1800-048-821 for a free design and quote. Pallet racking is a materials handling system designed to store goods and materials stacked on pallets. Pallet racking is a common storage solution used in warehouses. It is generally structured in horizontal rows on multiple levels. 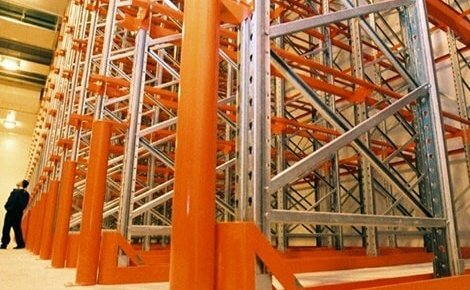 These racking systems are most commonly combined with the use of forklifts to load and unload pallets and merchandise. Racking systems can minimise time required for inventory counts and the surveying of warehoused goods. 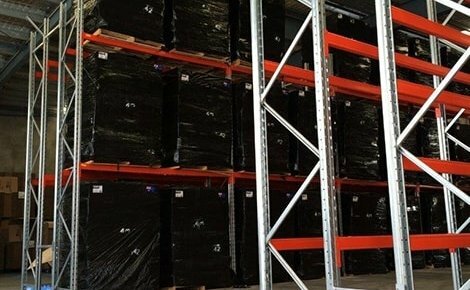 Pallet racking can be used anywhere from warehouses and manufacturing facilities, to retail stores and other storage and distribution centres. 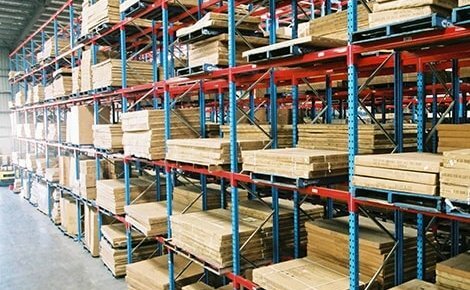 Pallet racking comes in a variety of styles and sizes to suit most storage facilities and their requirements. 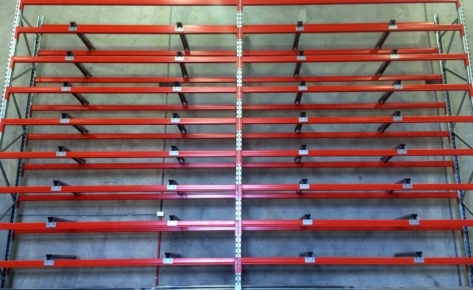 MACRACK is one of the only Australian racking companies that offers customised pallet racking. 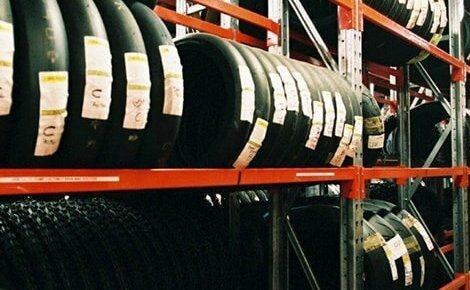 We can build personalised racking to better suit the needs of each customer and location. 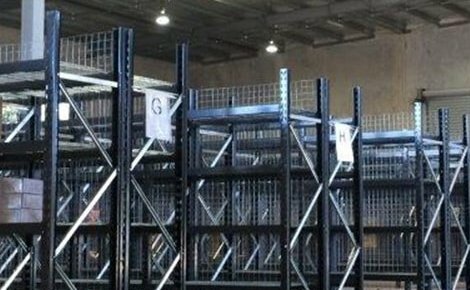 To find out how we can design and build a custom pallet racking system to fit your unique requirements contact us today on 07 3343 9788 or call 1800 048 821. This is the most common configuration of pallet racking. 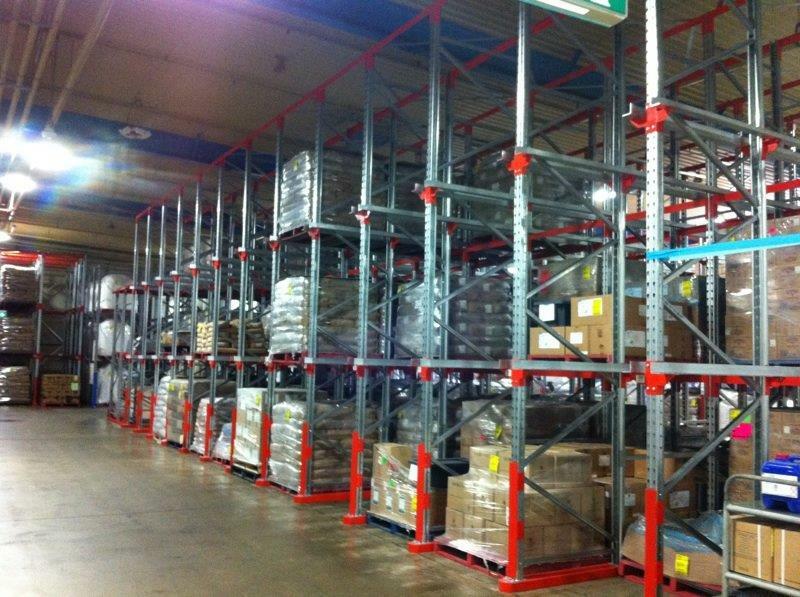 In a selective pallet racking system, goods and merchandise are accessible from the aisle of the system. This provides access to every pallet stored in the structure. They are built one pallet deep with the ability to have two rows placed back to back. 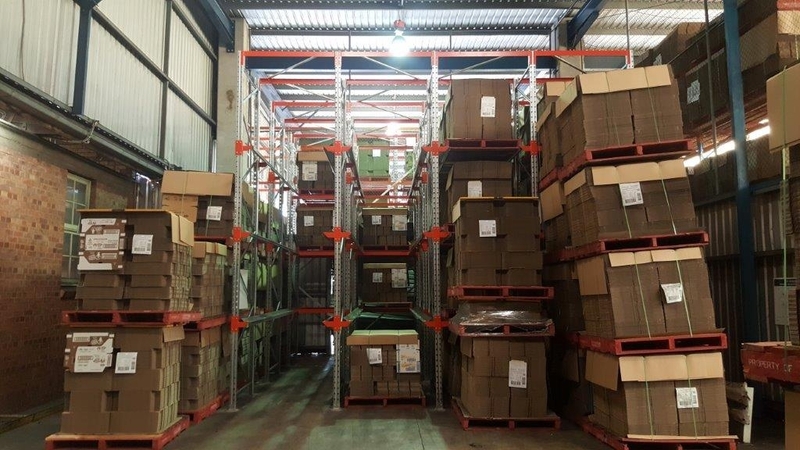 With the lowest storage capacity of pallet systems, it is also the most inexpensive racking system per square metre. This type of system has maximum accessibility. This is particularly useful where there is a large differentiation in products. 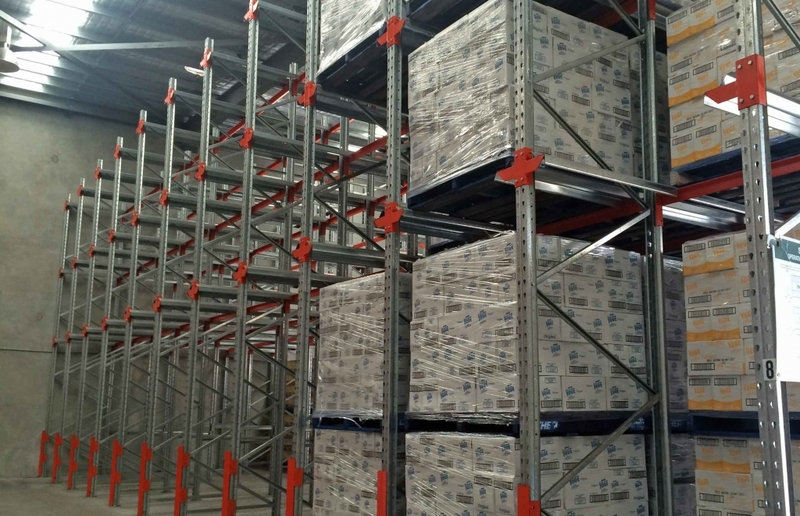 Selective pallet racking is also ideal for storing perishable and consumable items. This is because old stock will not need to be rotated to optimise use by dates as all stock is accessible. Double deep racking has the same configuration as selective racking. 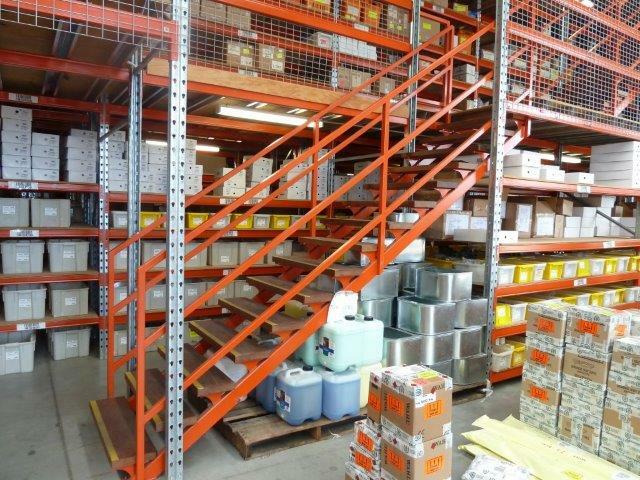 Utilising aisles, double deep racking has high accessibility to product. However, unlike selective pallet racking, double deep racking structures are built two pallets deep. This system offers less visibility as only the outer pallet will be accessible from the aisle. This also means older pallets will be removed once newer pallets have been used. As a result, this system is generally not suitable for the storage and rotation of perishable items. 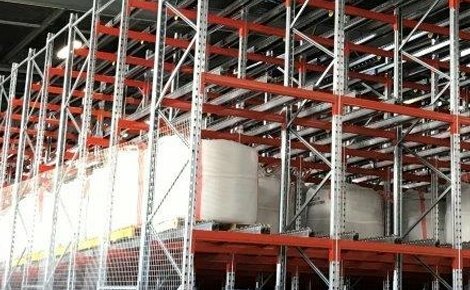 However, double deep racking provides a greater storage area and can increase the storage capacity of almost any space. Double deep racking is a combination of higher density storage and product selectivity. It has a higher storage capacity than selective storage systems with the majority of stored pallets still visible from the aisle. Specialised equipment is also required for the stacking and removal of pallets into double deep racking systems. Commonly referred to as furniture racking, narrow aisle racking is a great option for increasing storage capacity without having to relocate to a larger facility. As the name suggests, narrow aisle pallet racking maximise the use of floor space with narrow aisles to increase pallet storage. The narrow aisles also act as a safety feature in cases where a picker is used to load and unload shelves. Narrow aisle racking also generally has taller shelves. 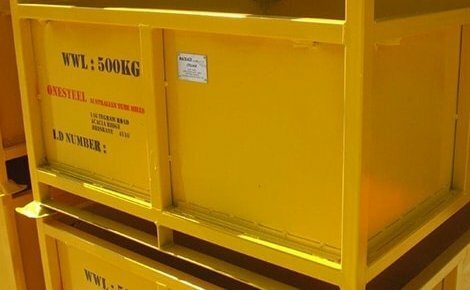 This increases the overall storage capacity of the space while allowing for larger items to be stored correctly to reduce the risk of damage to stored items. This in turn reduces shrinkage and increases profitability. 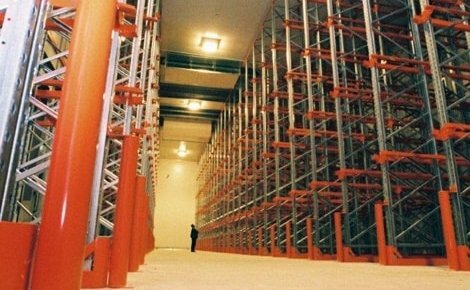 Narrow aisle racking can increase storage capacity in any given building or structure by maximising the use of vertical space with taller structures or floor space with narrower aisles. 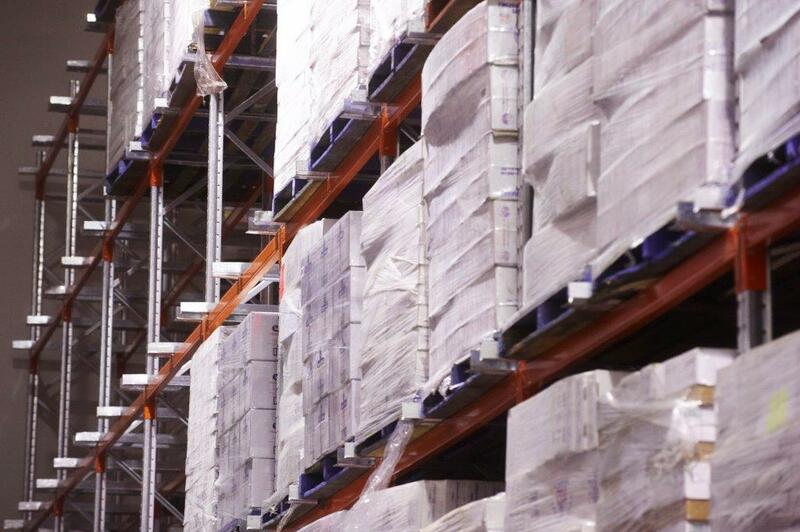 With complete selectivity and access to every pallet, narrow aisle racking can be used to store almost anything. This includes food and other perishable items. 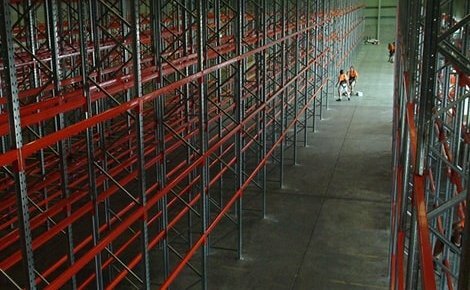 Narrow aisle racking is most suited for use in spaces with high roofs and pallets of uniform size. However, this type of racking will require the use of specialised stacking equipment. Drive in racking is a high capacity racking system with both single entry and double entry configuration options. In this type of system, pallets are placed to slide back on a rail to be stored more deeply and create more space. Drive in racking eliminates the need for an aisle as you can drive into the racking system to retrieve pallets from multiple locations. This optimises floor space and storage capacity of any given facility. With the option of a double entry drive in racking configuration, this system is perfect for efficient delivery and dispatch storage. 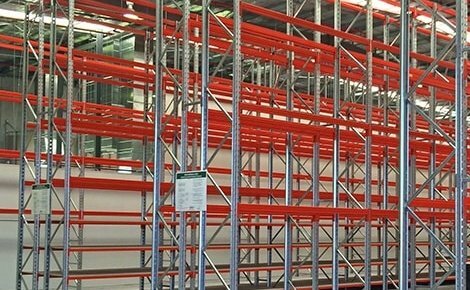 With no aisles, drive in racking increases storage capacity. But, no aisles means product visibility is limited. This means ideally you would use this system to store items with a low differentiation in product ranges. Product rotation is also limited meaning this racking is suitable to last in first out storage. Drive in systems are ideal for use in more expensive storage spaces. For example, cold or freezer storage where maximising storage capacity can have a larger financial impact. Drive in racking can also be used to utilise unconventional spaces including corridors and confined areas. This makes pallet racking an option in spaces that otherwise would be left unused. MACRACK offers the option to customise the height, depth and number of levels in any drive in racking system we produce. We can build systems to suit any storage space from narrow buildings with high roofs to spacious warehouse with less vertical storage capabilities. 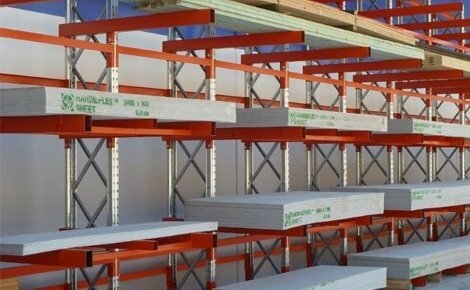 Sometimes referred to as christmas tree racking, cantilever racking is one of MACRACK’s most popular systems. 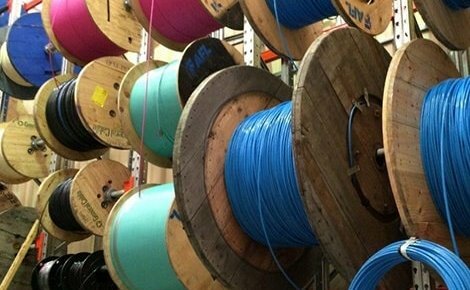 This system is most commonly used to store long products including timber, extrusions, pipe steel trusses, PVC and even carpet. 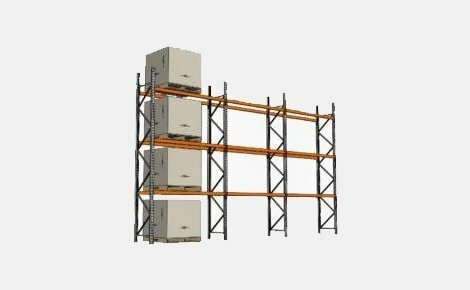 A cantilever racking system can be either a single or double configuration. This system can be positioned back to back to create aisles. Cantilever racking systems do not have shelves and have open fronts to assist in the speedy loading and unloading of materials. Cross beams to support the frame and strengthen the structure. These are available in a range of different lengths for different sized systems and stored products. As one of the most versatile racking systems, cantilever racking can add varying sizes of arms. This accommodates the storage of items varying from pallets to PVC pipes. 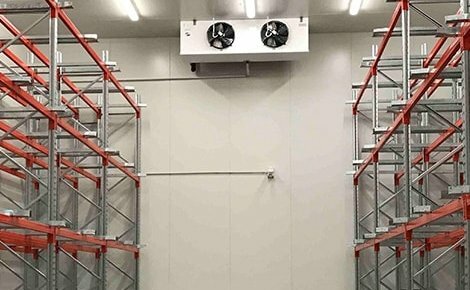 The product specific racking can also improve productivity with increased accessibility to stock, allowing for higher turnover rates. Push back pallet racking uses a moving cart system to store large quantities of products in narrow spaces and can be built from 2 to 10 pallets deep. This system uses gravity to automatically shift the remaining pallets forward when a pallet is removed from the system. With no aisles and a front loading system, push back racking is an ideal way to utilise floor space with limited accessibility. With the reduced pallet availability of a push back pallet racking system, it is perfect for storing large quantities of similar products. 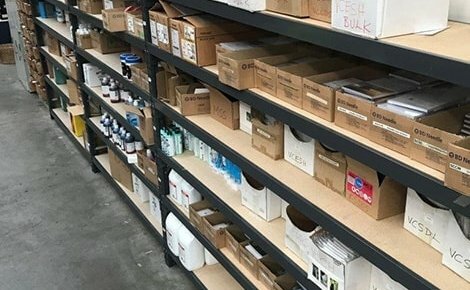 This storage system can help to simplify product locations and reduce product mix ups. MACRACK offer customised push back racking systems with the option to adjust the length, depth and height to suit your needs. We also offer mezzanine floor building services including the design, construction and installation of your warehouse mezzanine floor. 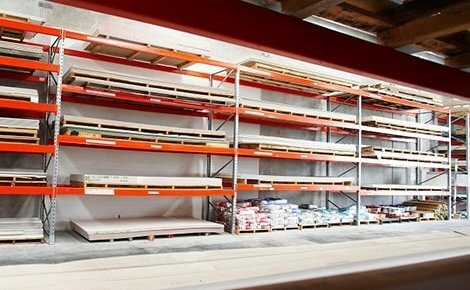 At MACRACK we offer free advice and comparisons on each pallet racking system. We can help you find the perfect system or customise a system specifically for your needs. If you’re looking for a reliable, built to last system of pallet racking Brisbane or Australia wide, take advantage of our free site evaluation service by calling 1800 048 821 today.